Pisces are not normal people. Pisces can be extremely talented and remarkably creative in their chosen line of work providing the job offers them a situation harmonious with Pisces unique personality and tendencies. Pisces crave inspiration. They thrive on creative endeavors that ignite their deep sense of purpose and their unique ability to become completely absorbed by their activities. When a Pisces is “on”, look out because they can move the world. Major business movers and shakers born under the Pisces sign include Steve Jobs, Michael Dell, Alan Greenspan, and Tony Robbins. Pisces can be a fantastic “grass roots” type of leader in an organization due to Pisces heightened ability to tune in to the wants and needs of others and their natural capability to read and understand situations. Unfortunately, being so mercurial, Pisces are not particularly well suited to the traditional role of leader. There’s no two ways about it, Pisces can be temperamental because they are so intuitively emotional. Pisces must sometimes be nearly dragged into a leadership role they are destined for due to their infamous insecurities. Pisces can be deeply influenced by their relationships with coworkers. This can sometimes make tender hearted and compassionate Pisces wishy-washy about tough employee issues. 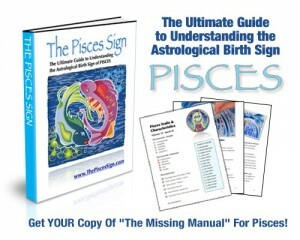 Pisces tend to do well in situations where they can work on their own, outside of the conventional “office” norms. Pisces can be found working until dawn some days and taking the day off on others – right in keeping with tendencies toward the artistic. Schedules that accommodate pursuit of musical careers, artistic endeavors, or writing are rarely “normal”. Pisces tend to enjoy lifestyles supportive of their generally peaceful and loving philosophical views, which extends into the work arena. Pisces make great caregivers of all types – the best, really. Pisces are also often found at the forefront of many volunteer organizations and community outreach programs. Most importantly, Pisces require a sense of personal fulfillment in their work and their career and will find it very difficult stay in one place for very long without it.